It is the ultimate compliment, is it not, bloggers all? Someone who checks out your words, day in, day out, drawn irresistibly by the tease of the title, steered dexterously through thought streams, entranced by the prose poetry, romanced by the thrill of the verbal chase. Like a rookie fireman on the pole I plummeted back to reality. 30 seconds? I write, what, 5-600 words? That would be, er, 20 words a second. Serious speed reading, no time for linguistic romance, cut to the chase, do no pass Go, do not collect £200. Speed reading. We all do it. Since I began reading council documents and EEC directives 25 years ago, I have learnt to skim the text for relevance, ditch the flotsam and jetsam, hit-and-run for information and clear off with the swag in the bag. It’s a highly efficient system. But what about the poetry? The romance? Something has to give when one careers through a text pillaging and plundering, doesn’t it? NASA thinks so. The thing that’s missing, they say, is the ghost words. Or, if you want to be technical: our subvocalisation. Slow down as you read this. Read every word. Can you hear the words in your head? Unbeknown to you, your muscles are closely involved in what you are doing. If you can hear the words it means you are actually producing tiny, imperceptible muscular movements, saying the words as a real, physical undercurrent. The Space Agency worked out quickly where those movements are. There are button-sized natural sensors under your chin and either sides of your Adam’s apple. NASA being NASA, they have not only devised ultra-sensitive detectors but also devised computer software which can translate the subvocal vibration back into words. So that, God forbid, if an astronaut was unable to speak out there in the vast reaches of space because of some horrendous mishap, the computers would whirr into action and read the astronaut’s subvocalisation. The spaceman could simply think the words and they would become reality. So: as bloggers, do we want people whispering ghost words as they read our thoughts, or hitting-and-running? Me: I’m a realist. Who has time to read 500 words these days anyhow? A rating is a a rating, right? What matters in the 21st century are clicks, baby: clicks. But also: I’m a prose poet, man. I like to work those tiny muscles. Sound rocks, even – no, especially – subvocal, imperceptible, batsqueak sound. I’d like you all to hear the rhythm and the rise and fall as you read, perhaps even hear it in my voice. You can read more about NASA’s subvocal words program here.Fascinating stuff. 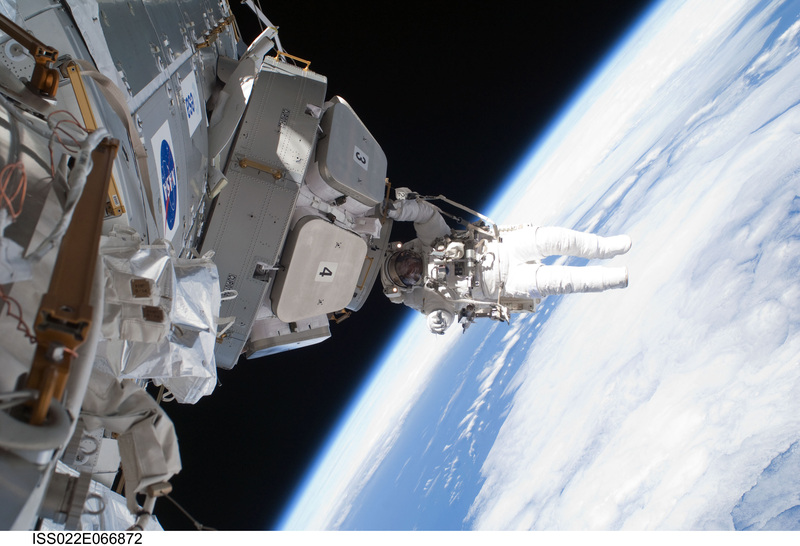 Posted in WhimsyTagged astronaut, bloggin, NASA, reading, skimming, space, subvocal, subvocalisationBookmark the permalink. Sidey! It has been too long. Your blog has tumbleweed blowing through it. I am bereft. Yes: NASA seems up to the task of making fantasy reality, doesn’t it? This is the logical extension of the Throat Mic – used extensively by the Luftwaffe and Panzers during WWII. The throat mic is less susceptable to picking up external noise such as aircraft engines. I suspect that the main driver for Nasa’s research is the Military for use by covert teams where silence is most definitiely golden! ps – I read your Culver post all the way through – and then re-read a couple of sections that caught my attention. But, I don’t get to read every post by every person I follow. That would be an impossible task, so I tend to sift by title and maybe the first paragraph. I have never heard of the throat mic, Martin, thank you for the tip off. I shall go and start rooting around to find more. Reading posts in the blogosphere: I employ a very similar strategy. And I must acknowledge that my posts are veryveryvery long. I have always designed this place to be a place you could dip in to, and not have to read every word of every piece, just the ones that appeal. I remind myself I should catalogue much better than I do so it is easier to reach into and grab what takes one’s fancy. Alas, my friend simply appealed briefly to my vanity. Deplorable of me, really. Interesting. Read the NASA article and noticed that it is dated 2004. Wonder what they’ve been doing to develop this technology over the last 11 years? Hi Miff! Very good question….you’re nowhere near there when you go to the States, are you? I feel like commissioning a spot of field research. Of course this is also why I don’t read very quickly and why I don’t read many blogs. I read slowly. precisely, with no abiity to skim. Words are too important to me for skimming. Like eating without tasting, or loving without feeling. Ok, that is enough of me!! Micael, what a lovely and memorable comment. Fabulously put, Thank you. On the quality of the prose. On whether the words are delicious. On whether I’m reading for information or pleasure. On whether I want to savor the flavor and hoover every crumb. When something is not to my taste, I tend to swallow it, like cod liver oil, in a single gulp. A great analogy, Nancy. All excellent caveats. P.S. Your post are tapestries ~ words woven with whorls and whispers. Michael really says it well. I savor your posts, Kate. If you’ve posted, I try to make the time to really read it (so, sometimes don’t comment right away, or, sadly, sometimes, I forget, which is a foible of my current state-of-mind). Ah, those word counts. . . I know when I’m at 200, folks read, 300 ??? ?, 700 I get “nice photo”. We endure, my friend, but, especially you, who has me wandering off to links and other points of interest because you are so good at words. I have considered myself a speed reader for years, necessary in business but it has only been the last few months I have been forcing myself to slow down and read every word. It takes some practice but is worth the effort. Amazing how much more I remember. Part of trying to live in the moment. Quite wonderful actually. I agree with nrhatch. It depends with the subject. I mostly read blogs that has a connection with what I want. P.s. I read very very slow. I’m not good at scanning and skimming cause I don’t wanna miss any single information. Hi Angelica, thanks for coming along to read and comment! I’m like you. I read slowly because I don’t want to miss a single thing. Kate, firstly an apology. I thought you’d stopped blogging and obviously you haven’t… turns out it was me all along. Not stopping blogging, but not being notified of your posts. That turns out to have been down to me stopping following you for some reason (I seem to have unfollowed quite a few completely unawares… technology can do some quirky stuff when I’m around) That’s sorted now though, and you are reappearing in my reader. Please forgive my ineptness. I can’t speed read. I try, but I have to start over again and again and it takes me even longer than if I’d read the article normally. And I also like listening to the voice that reads out to me what I’m reading. This is coming from my Adam’s Apple you say? I’d have never thought of that… although it makes sense. They’re a clever lot, that NASA. Tom, how absolutely brilliant to hear from you. Hope all is well with you: I’ve had some momentous events this Summer and now our family only consists of myself, Maddie and Felix. I can read at a good rate – taking in paragraphs at one gulp – when the subject-matter doesn’t engage my imagination. When it does, I slow down and enjoy building the mental image the words conjure. Your writing has this effect on me, and I pity the sad souls who do not pause for the same enjoyment. The modern trend in writing is to rush people through scenes, rather like TV dramas with condensed bridge passages between completely unrealistic and sustained action sequences. These engage attention, but as soon as one studies them analytically they crumble into dust. They cannot be described as memorable. That is software that could also help people right now who are paralyzed. I tend to skim first and satisfy that brain-thirst to have answers. THEN I go back and enjoy the words for themselves. Jessie! Great to have you over here, and honoured that you commented. I follow your adventures and love your sense of humour. And your methods make a great deal of sense to me: get the shape of the piece, than go back to get the detail. Skimming is better than hitting like in the reader without the slightest idea what the post is about except for a few second glance at a photo. I read when I have time, and I’m philosophical about it. If people are interested, they’ll read, and if they are not. C’est la vie. Kind words, Kate. 🙂 I’m not sure my numbers would impress a book publisher, but I doubt I could keep up with much more. 🙂 I’m lucky — lots of things interest me. It’s a good way to be.